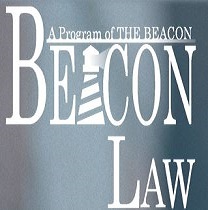 We currently hold intake and provide legal advice and counsel at The Beacon Day Center on Monday and Friday, excluding major holidays. Arrive by 8:00 AM to register for services. We also conduct intake through other coordinating shelters in the Houston Area. If you are receiving services in a Houston area shelter, speak with your case manager regarding services. ID Restoration including but not limited to resolving traffic warrants, license holds and birth certificate issues. Assistance with Social Security, Veteran Benefits, Disability/ADA and other elder law. Housing Law including Landlord/Tenant disputes, Foresclosure and Title disputes. Wills and Estates, Consumer Law.